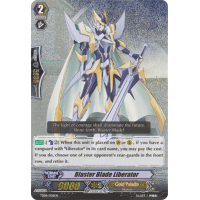 [AUTO]:[Counter-Blast 2] When this unit is placed on (VC) or (RC), if you have a vanguard with "Liberator" in its card name, you may pay the cost. 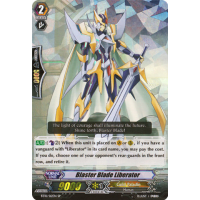 If you do, choose one of your opponent's rear-guards in the front row, and retire it. The light of courage shall illuminate the future. Shine forth, Blaster Blade!